Re: "This does not mean that everyone discussed here is making a full-time living." -- Exactly. Theft is reducing the high-paying industry careers in favor of idiots who laugh at suicides and tase rats. Before the Internet, a lot of those creators would create works, but have no option for publishing them and making even a little pocket money. Indeed, many published book authors had to keep the day job, as did many musicians, artists and actors. 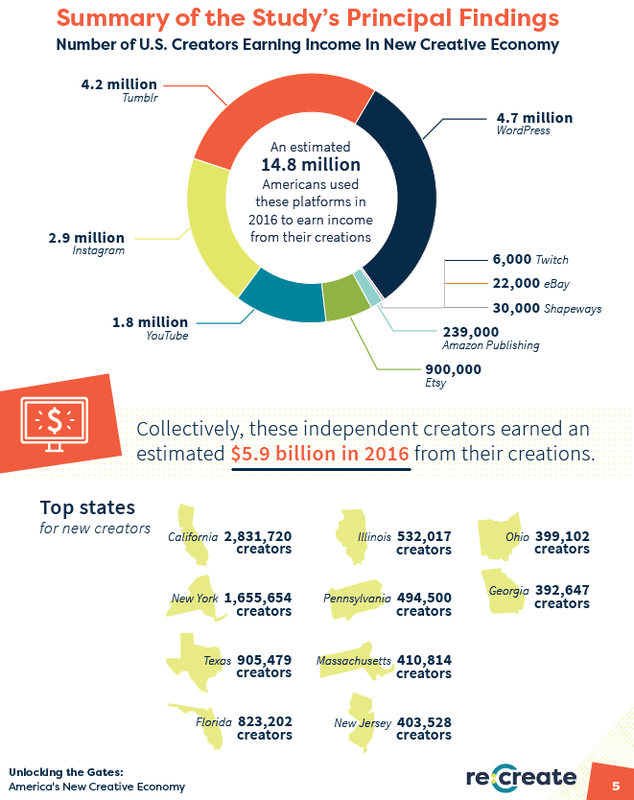 Making a living from creative output has always been difficult, with many creators having other sources of income.